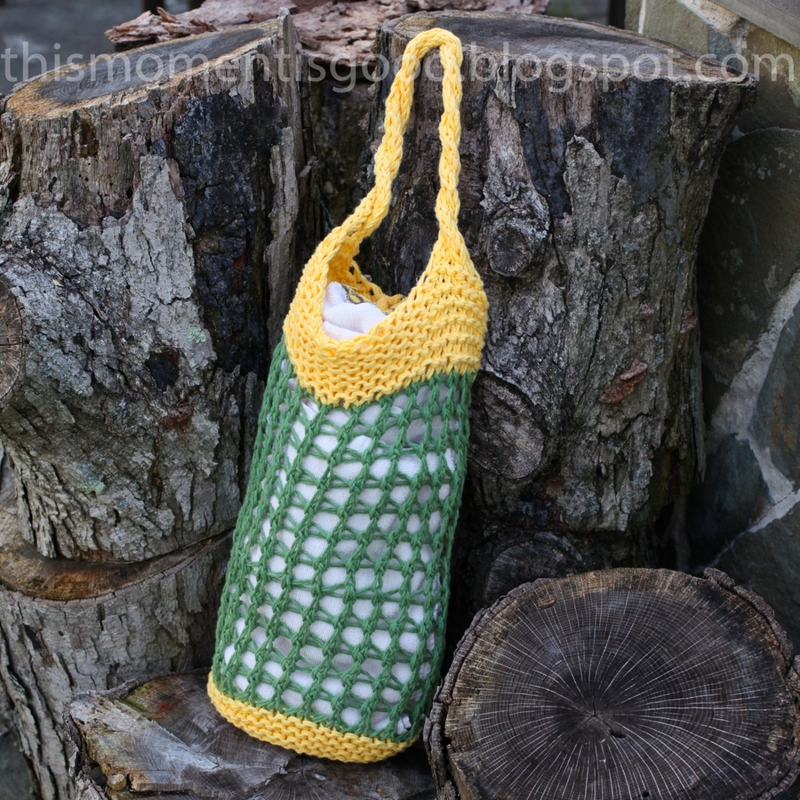 Loom Knit Market Bag or Towel Bag! PATTERN ONLY! 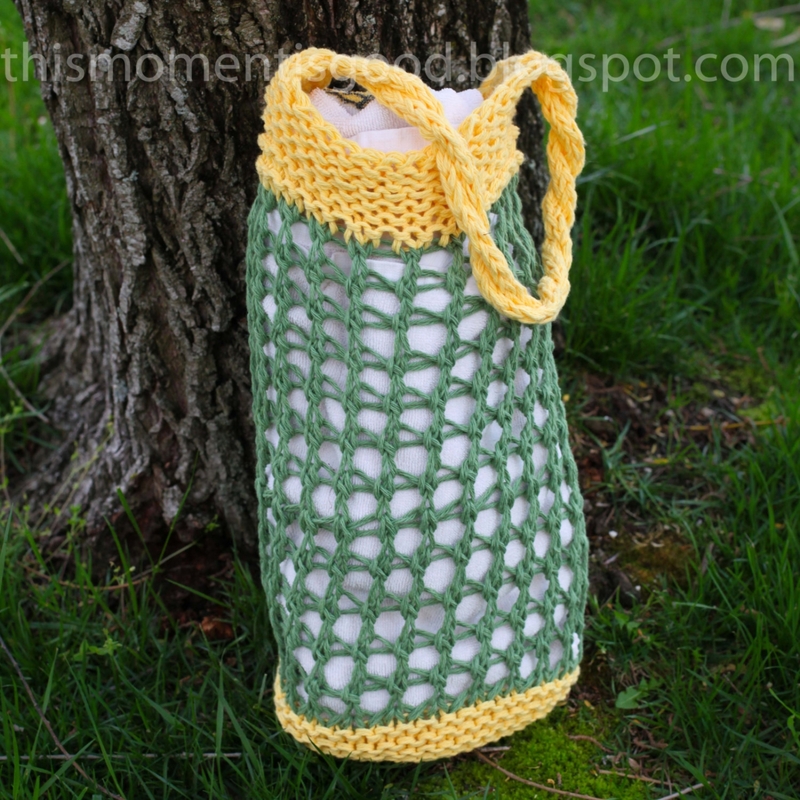 Description: This item is for a Loom Knit Market Bag Pattern. 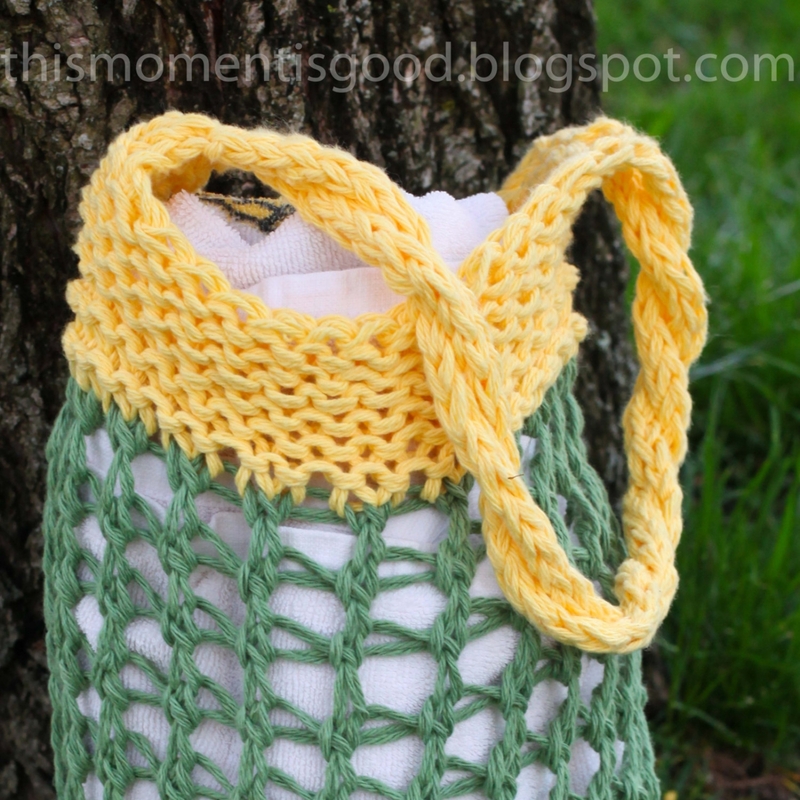 It can also be used as a towel bag, toy bag, yarn bag, etc. 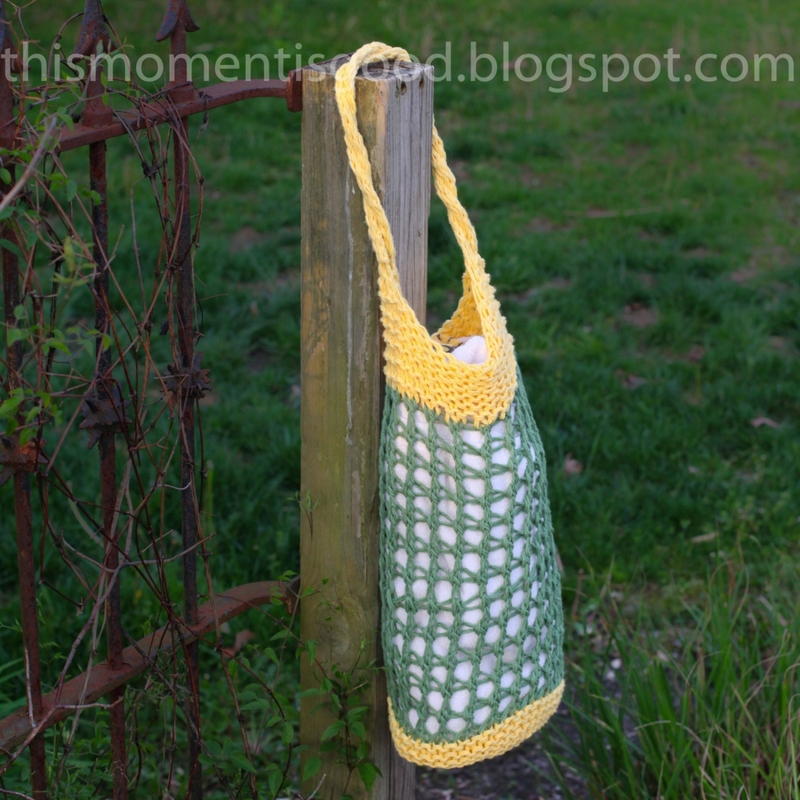 It is loom knit as one piece, including handles, no seaming necessary! It features a nice open weave and a flat bottom. It’s a great way to go green and stop using disposable plastic bags. 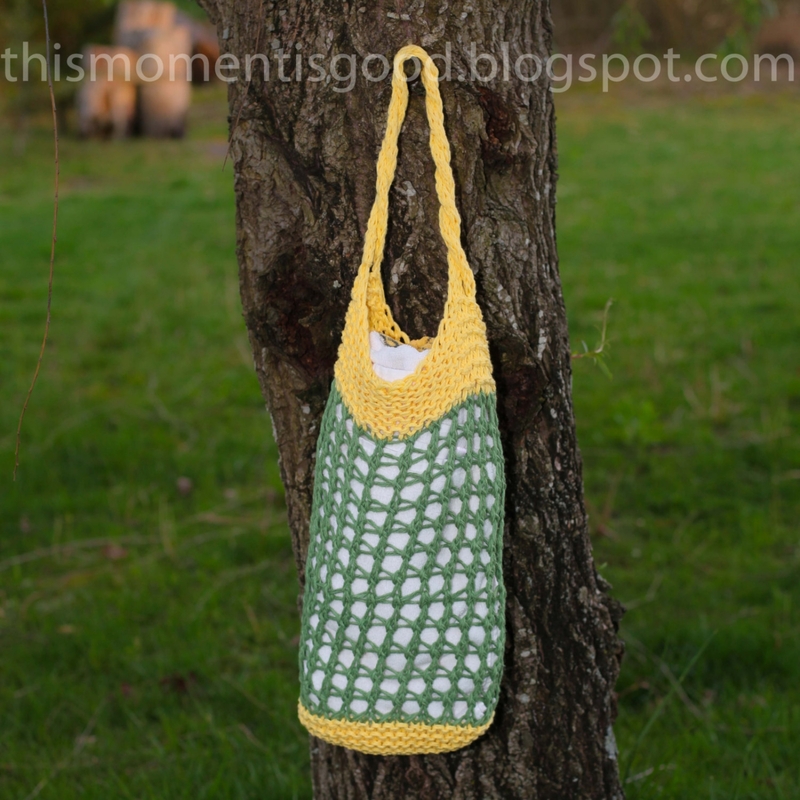 The bag is easily washed, once knit, as it is made out of cotton. It’s a fun project that can be done quickly! Loom: This pattern is suitable for the beginner+(or confident beginner) loom knitter and includes a glossary of terms. Loom: The pattern uses a 41 peg large gauge round, 3/4" peg spacing, loom (yellow knifty knitter or equivalent). I am beyond happy with this pattern and the WILLINGNESS of Nicole to help me when I was very confused by the instructions. Her patience with my misunderstanding has only made me want to buy more of her patterns! Much much appreciated!